Logging on to Union County’s service is easy for WiFi-enabled devices, such as Apple I-Phones and I-pads, Android-based phones and tablets and any other capable devices. 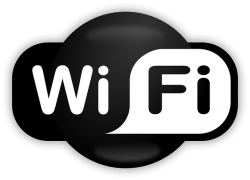 Merely find the Wi-Fi settings on your devices. Select “Union County Wi-Fi” as the connection to join. Follow on screen agreements and enjoy. WiFi service is free. Safety features are also in place, including having the users to re-login periodically to discourage downloading or streaming of large files which may cause the performance and bandwidth to decrease for other patrons who may be logged on at the same time.